We are winding down our time in preparation to return to Estonia! Less than two weeks to go until we arrive in Tallinn, where we will minister the rest of the summer. You can still partner with us and help be a part of the journey! Donating is easy with the button on the sidebar. Be blessed! Nannette is sharing a story about our time in Tallinn in 2010. We met a wonderful man who made a “forever” impact on our lives. We hope his story will do the same for you! 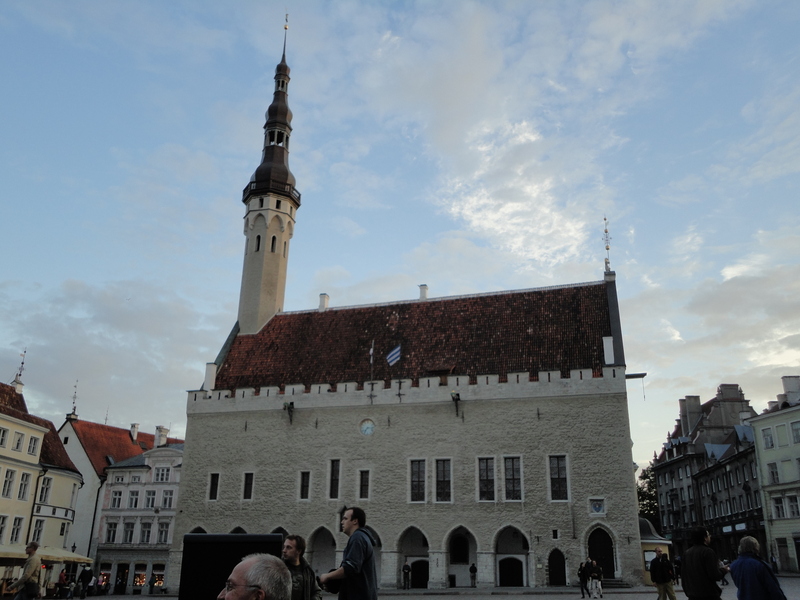 We arrived in Tallinn, Estonia in the middle of September, 2010. A stranger in a foreign land, my feet had never even left the good ‘ole USA, let alone touch down three hours from the Russian border! But I was too busy taking in the sights of Old Town Tallinn to be worried about the KGB. Thankfully the Baltic countries of Estonia, Latvia and Lithuania had been out from under Soviet occupation since 1991, they were free, and nowhere was it more evident than in Tallinn. We quickly settled in our quaint, historic hotel right in the hustle and bustle of Old Town. Well goodness, everything was historic in Old Town! The Danish rule of Tallinn had begun in the year of 1219! They had a pharmacy that had been in operation for over 900 years, absolutely mind-boggling. We just couldn’t take it all in. We stood in the city square and stared in awe. The cobblestone streets, the brightly colored buildings, the beautiful spires and steeples, it was all just breathtaking. My poor little camera was getting quite the workout but I knew my friends and family would probably never get the opportunity to see what I was experiencing and I didn’t want them to miss anything! Eastern Europeans are not like Americans, nor would we ever want them to be. They are a very friendly and kind people but mostly quiet and reserved when you first meet them. But once you have won their trust then they are your friend for life. We finally found an apartment building a few blocks from Old Town, close to a market and the bus stops. Upon entering our apartment building we had a security guard that sat in a little cubicle by himself all day watching a monitor and assuring that only those who lived or worked in the building were permitted in. There were two gentlemen, one in the morning, and one at night. Both of them were older, early sixties, and both were Russian. Every time The Sweetheart and I would come or go we would always wave and speak the one or two words we knew in Russian, smile real big and then go on our way. The first time they just kind of stared at us with a surprised look on their faces, but eventually they started responding back with a smile and a wave in return. This continued for several weeks with nothing unusual, until late one afternoon. We came in to find the day security guard in his cubicle as usual but he had a lady visitor and as soon as he saw us come in he jumped up and ran out talking loudly in Russian and waving his arms. He kept talking to his friend and to us and smiling and bowing and then he kissed ME on both cheeks! We were all laughing and so flustered that we could not communicate! While I was recovering from my kiss he grabs The Sweetheart and kisses HIM on both cheeks! This was no small feat because The Sweetheart is over six feet tall and this man is about my height and I am just barely over five feet! All the while he is jabbering away and smiling and bowing and clasping his hands together. I knew he was trying to tell his friend something about us but couldn’t quite make it all out. Thankfully, a young lady walked in and we asked her if she would interpret for us. Reluctantly, she agreed, and we discovered his name was Nikolai. Again, he starts chattering away. When he finished, the young lady interprets, “He says you are his friends.” I said, “That’s it?! He said all of that just to say we are his friends? !” She wasn’t into this at all and was obviously in a hurry, but we could tell there was more to this story and Nikolai was still talking ninety miles an hour. Finally, our interpreter tells us everything he is saying and our lives are forever changed. I hope yours is too. By then the young lady is smiling, she doesn’t quite know how to get out of the awkward situation, so we ask her to tell him that he is our friend too, we tell him our names and we talk back and forth a couple of minutes and then we thank her for helping us and she runs toward the elevator. We are still “talking” to Nikolai but of course the interpreter is gone so we cannot understand one another but it doesn’t matter because “love” has taken over in that place and we are all amazed by what has happened. You see it wasn’t me. It wasn’t The Sweetheart. Most of us have that kind of friendly habits in our nature. We touch people’s lives every day without realizing it and thank God we do! Most of the time we do it because we were taught good manners, we had good parents, we went to Sunday School, we learned the Golden Rule. It does matter how we act, what we say, and how we react every day. The love of Christ will shine through us….or not. 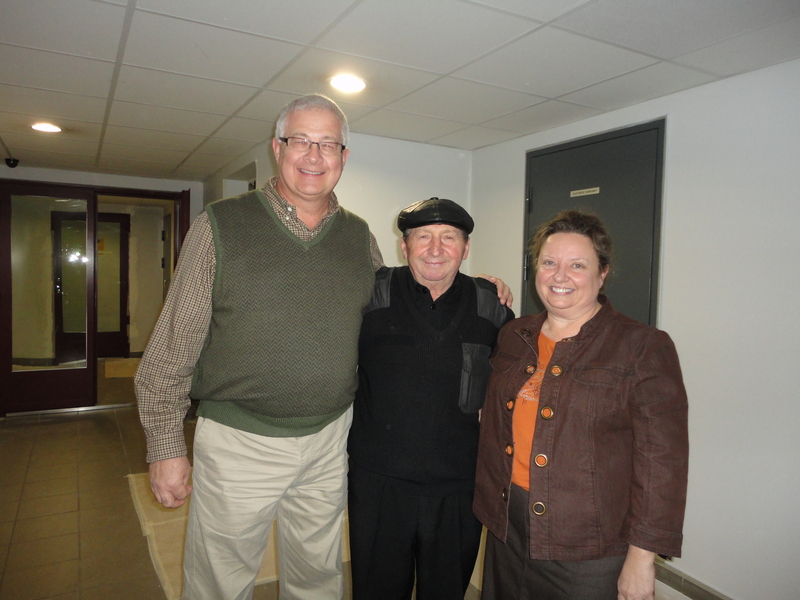 We had the wonderful opportunity to connect Nikolai with the missionary there before we left Estonia. We also had this picture framed and gave it to him before we left and he cried, which broke our hearts, and he proudly displayed it on his desk in the cubicle. We continue to pray for him and would love to be able to meet him again someday. I am grateful for the life lesson he taught us. It does matter how I act, how I treat people, because they are watching me and I want to be an example of the love of Christ. Your ministry begins when you walk OUTSIDE the doors of your church, not when you step INSIDE. “Let your light so shine before men, that they may see your good works, and glorify your Father which is in heaven.” Matthew5:16. Previous PostTallinn Awaits!Next PostWe are packing! Tear-jerker! What a wonderful reminder of the power of our witness.